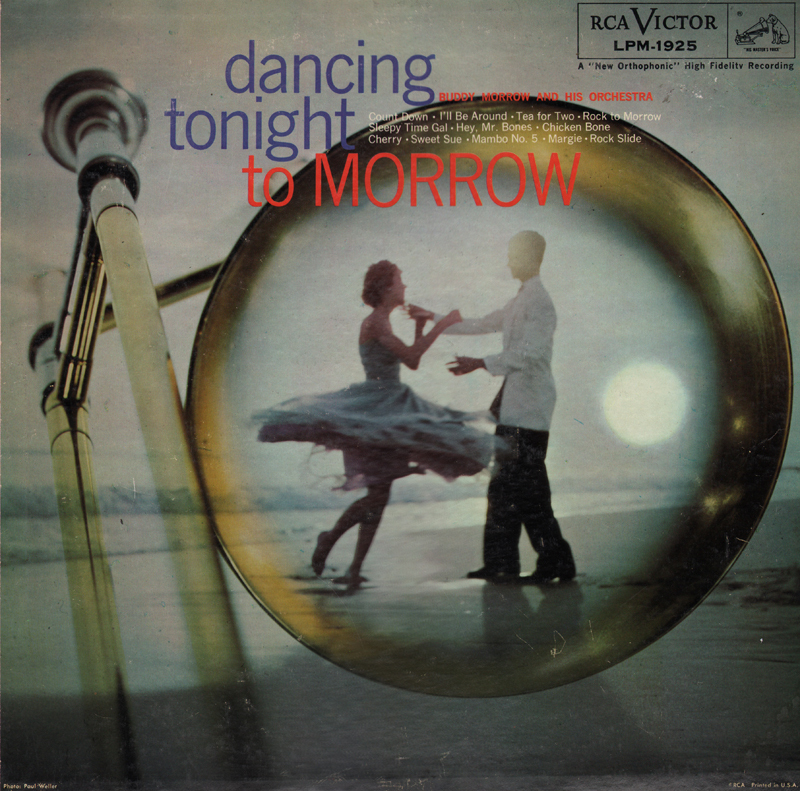 From the back cover: Teenagers, college kids (in fact, everyone who ever put his best foot forward on the ballroom floor) have been getting an enormous charge out of the Morrow men. 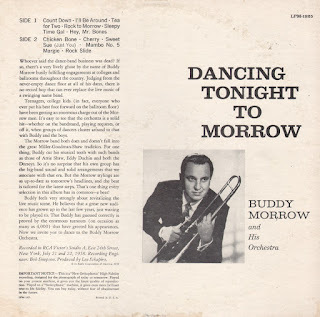 It's easy to see that the orchestra is a solid hit – whether on the bandstand, playing requests, or off it, when groups of dancers cluster around to chat with Buddy and the boys. 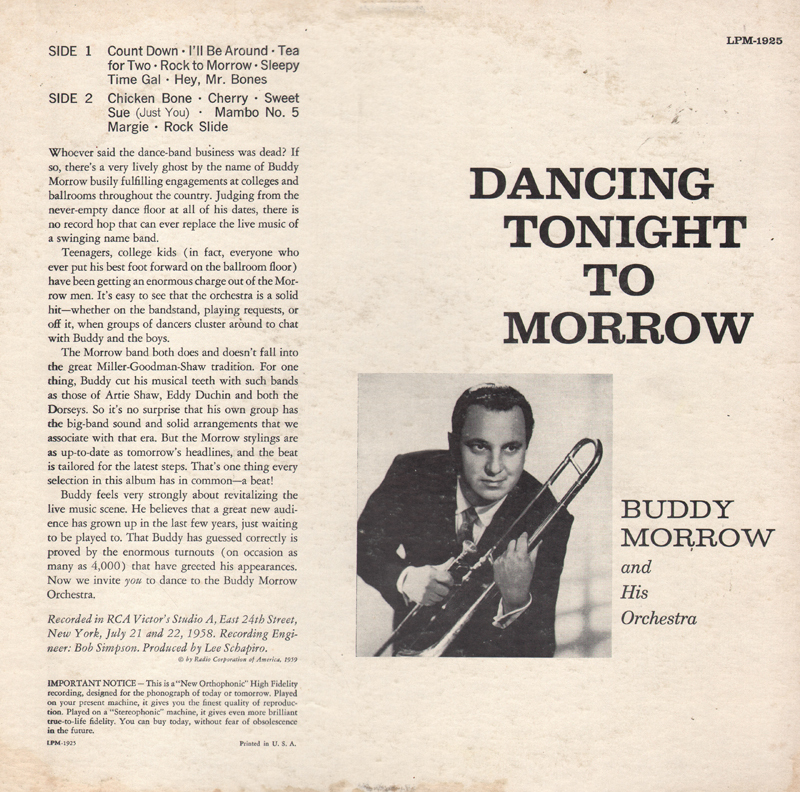 From Billboard - February 16, 1959: Buddy Morrow and his work turn in some swinging readings of standards and originals on this new stereo set. 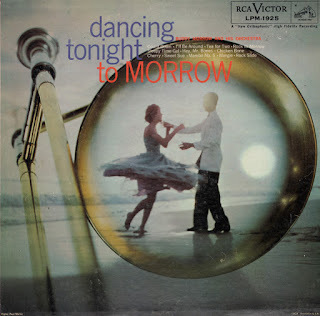 Morrow has always been a dance band with a beat and the ork shows off it's beat strongly on such tunes as "I'll Be Around," " Tea For Two," "Count Down," and "Rock To Morrow." It's a wild album aimed strictly at the younger set. Stereo sound is fair. Side one and two feature mostly swing instrumentals. 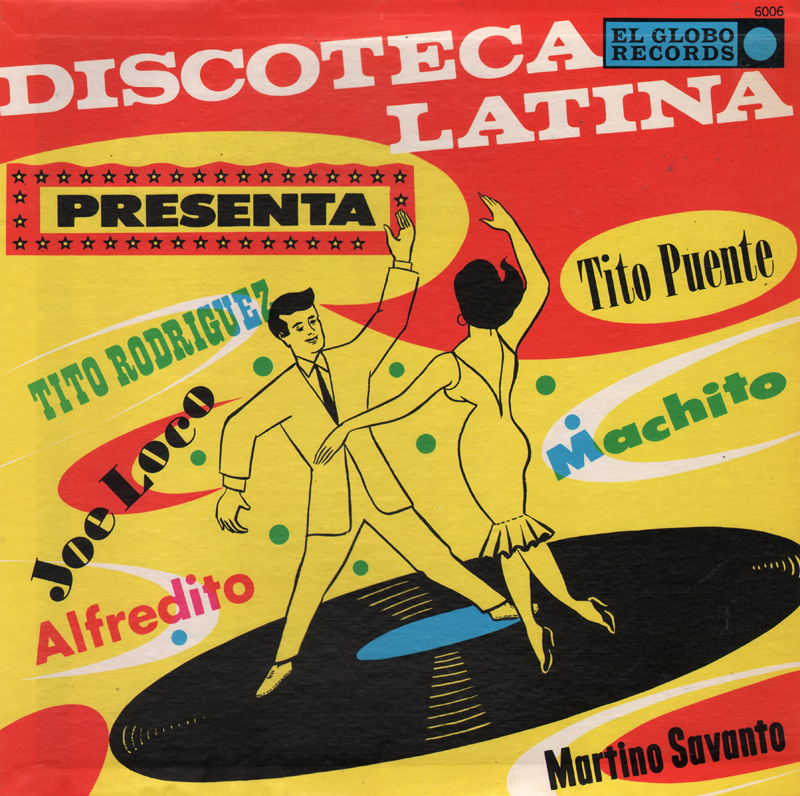 However, side two also includes several vocal tracks by Frankie Lester (sample above). 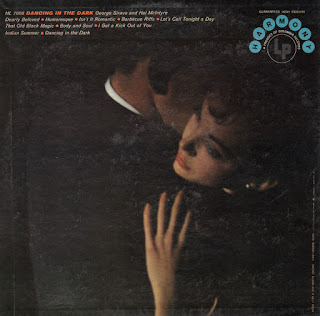 From Billboard - March 30, 1957: Miss Stafford and the Quintet deliver a dozen standards in a moderately strong pop entry. Newest item in the collection in "Autumn Leaves" which goes back to 1947, Gershwin Rodgers-Hart and Mercer are represented, with the emphasis on Gershwin ("Nice Work If You Can Get It," "But Not For Me," etc.). Could attract Stafford fans and the older young-married group for whom many of these tunes evoke memories. Demonstrate, "The Lady Is A Tramp" on side 2. 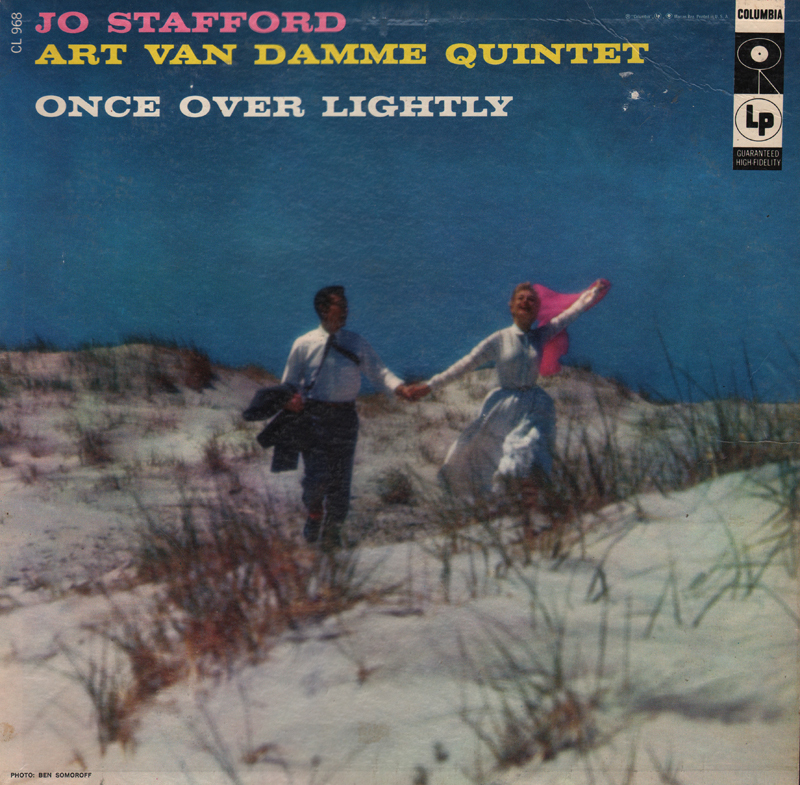 From the back cover: Art Van Damme began his professional career in 1938 when he organized a trio; as the years passed, the group became a quartet and finally a quintet, which was more pliable to his rich fund of ideas. His accordion playing has been hailed with unrestrained enthusiasm by jazz critics, and the voicing of the Quintet have received equal praise from both those critics and the general public. 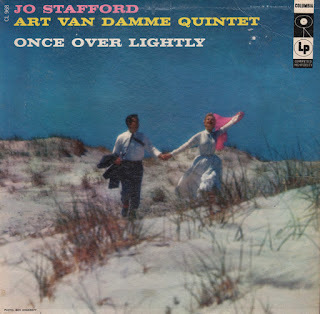 Although the Quintet infrequently appears with a vocalist, there is evidence in this collection that in Jo Stafford they have found a congenial and gifted confederate. Compilation album featuring colorful jacket art and a peppy set of tunes.